Is kneeling during the national anthem disrespectful to the American flag, and by extension, to the U.S. military? That’s the charge Donald Trump recently leveled at NFL players who began “taking a knee,” to use the athletes’ language, to protest police brutality against people of color. But underneath that charge is an unexamined assumption that veterans and service members would not share the athletes’ views – and are white. The rest of this post, which examines demographics in the military in comparison to civilian society, in addition to the attitudes and beliefs of racial/ethnic harassment by those service members is available on the Monkey Cage section of the Washington Post. What would happen if the President of the United States were to order a strike on an enemy target? What if the command is to mobilize National Guardsmen to respond to flooding after a hurricane? Most people would, I think, agree that those orders would be lawful exercises of presidential power, and I think that the law would support those orders. What if, instead, the orders that were given by the President were to do something patently illegal? There would certainly be an impetus to obey that order if you were the recipient of that order, but obedience to orders is generally at the peril of the one following them, and ultimately, something obviously illegal would likely not be obeyed. In these clearly defined black and white examples, there is not much room for uncertainty. Foreign policy and domestic security are clearly within the President's authority. Illegal acts are illegal. What about orders and commands that aren't clearly legal or illegal? We know that the military has agency; that is, its leaders, officers, and enlisted members do not blindly following orders from the executive. In the lead up to the 2016 Presidential election, we saw influence by retired military officers attempting to advocate on behalf of candidates. Recently, we saw ﻿active duty officers attempt to lead and influence the Commander-in-Chief in the response after it was announced that transgender individuals would not be able to join the military and after the tragic violence in Charlottesville, VA﻿. Setting aside for the moment the agency of the military, one of the founding pieces of literature in the field of civil-military relations discussed the role of military in society, and amongst many other astute observations and analysis, identified military officers as "conservative." Huntington was referring to the conservative realism of the military, praising the highest virtue of military men as obedience. In the politically charged modern environment, the natural inclination is to assume that "conservative" has a partisan definition. To this point, the military being viewed as conservative, and the military being able to make its own choices are two pieces of a tricky triangle. The final side to lay out before exploring very difficult terrain is that there is a high degree of confidence in the military. As an occupation, confidence in the military exceeds confidence in teachers, scientists, engineers, and doctors in 2013, and again in 2017. In 2016, Pew also found that confidence in the military exceeded those same groups, adding in news media, business leaders, and elected officials. The military is trusted, and one reason for that trust is that it is generally seen as above politics. That, while its members may be political actors in the sense that they have opinions and that they vote, there are rules in place barring advocacy by them in uniform, and they are largely seen as apolitical in the broadest sense. The simple question that these points intersect at is whether the military is - or should be - a political tool of the Commander in Chief. That is, can the military be ordered to vote in a certain manner or compelled, or asked, to reach out to their member of Congress? Is an allusion to the Forever 9/11 Bill during the commencement speech at the United States Coast Guard Academy? Is this the President discussing relevant affairs to a new generation of Coast Guard officers and their families, or a call to advocacy for those same officers and families? What about speaking to Sailors and families at the commissioning of the USS Gerald R. Ford, was President Trump discussing health care reform as part of a national policy debate, or was he issuing an implicit order to each individual who was sworn to obey the President of the United States that his vision for health care is the proper one and instructing them to get involved to achieve that end? What if the language of the speech specifically calls for advocacy? 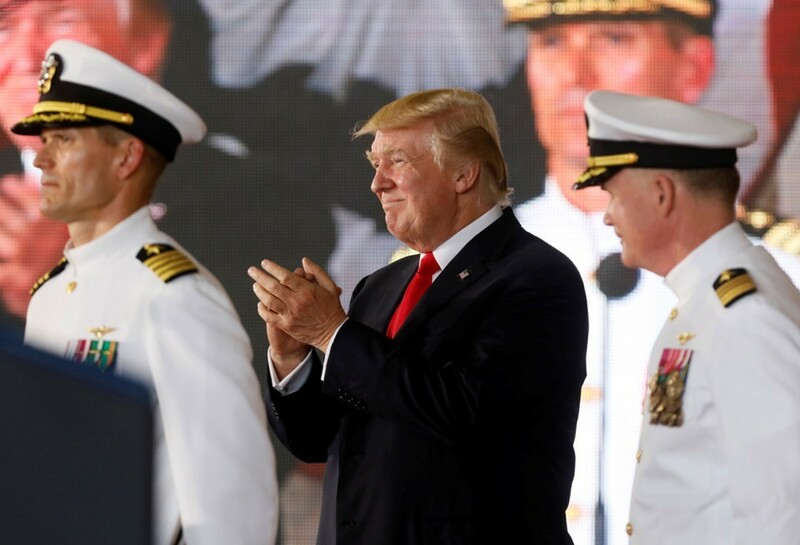 In that same speech to the families and Sailors at the commissioning ceremony of the USS Gerald R. Ford, the President said "I don't mind getting a little hand, so call that congressman and call that senator and make sure you get it. And, by the way, you can call those senators to make sure you get health care." While it can be easily stated that the President has a right to free speech, and as the President, he has the right and responsibility to discuss matters of public discourse that affect the national interest, the question is not related to that right. Rather, this is the intersection of the military having a legal right to speak, and legal obligation to obey the President, a sense of agency to influence and affect policy, and a public confidence in them. If the military were to be an agent of the President and call their representatives, do they lose the confidence that the public has in them and simultaneously reinforce the image that they are a partisan institution? What if, instead, the military does not heed the President's call, meaning that one of the core tenets of the military - discerning and following Commander's intent - is weakened? Does a situation emerge wherein military leaders will have to parse words from the President as to what is an order and what is only discussion? Politicization of the military is a dangerous, difficult issue that is ripe with issues involving the intersection of rights, and its not one that will soon be answered. Last week, as part of a series of blog posts on civil-military relations, I offered that military leaders have a separate identity from the Executive. That is, though military commanders are subordinate to the Commander-in-Chief, they are not without identity and influence on the President. Also occurring last week were the violent protests in Charlottesville, Virginia, on and around the campus of the University of Virginia. One of the results of those protests and clashes was that a woman, Heather Heyer, was seemingly struck, in cold blood, by a gentleman, who was later identified as James Alex Fields, using his vehicle as a weapon. The response to the attacker was nearly universally visceral with leaders of both parties, most analysts, and most mainstream citizens denouncing the attack and the pro-Nazi ideals that he and the larger movement stood for. One of the most prominent divergences from that nearly uniform response was made by the President, who made several statements oscillating between placing blame on both sides and denouncing Nazism and white supremacy movements by calling them repugnant. These statements, and the timing of them, received a substantial amount of negative response, drawing criticism from a number of analysts and others. One of the more curious responses was interesting not for what was said, but for who said it. Shortly after the protests and attack on Saturday, the Chief of Naval Operations - the most senior officer assigned in the Department of the Navy and the Deputy to the Secretary of the Navy - quickly tweeted the below response even before the President's response. ​A few days later, and after the President's response, a series of senior military officials publicly responded with the following tweets by, respectively, GEN Neller, the Commandant of the Marine Corps, GEN Milley, the Chief of Staff of the Army, GEN Goldfein, the Chief of Staff of the Air Force, and GEN Lengyel, the Chief of the National Guard Bureau. In quick succession, the Service Chiefs articulated their condemnation of racism, extremism, and hatred. While these statements are consistent with the laws and regulations governing the military, wherein each of the services has a means of separating from the Service individuals who espouse racist or extremist ideas, the more curious fact is not what was said, so much as who​ said it. It is the military leaders, who took an oath to support and defend the Constitution, and to obey all lawful orders from their commanders that spoke before and after the Commander-in-Chief did. Now, each of the leaders that spoke were clear to note that they were not involving themselves in domestic politics, but that they were aiming their comments at those currently in their respective service and to the public, which comprises potential future recruits. However, the effect of outspokenness is clear - there was a message sent that was separate from obsequiousness and blind obedience. Certainly, no rational analysis can consider tweets as a harbinger of military revolt, but the responses after Charlottesville by military leaders stand for the clear proposition that there is separation between the Executive and the leaders of the military; that the military has its own morality, code, and sense of professionalism that is independent from the Commander-in-Chief, regardless of party. It's been a busy week in thinking about civil-military relations. In the wake of the violence in Charlottesville, in addition to watching the protests and counter-protests occur, I thought about posse comitatus and the use of the military in restoring order in response to domestic issues. Following that, I was tempted to write about the first lawsuit against President Trump concerning the announced (but not yet implemented) transgender troop ban, but the the deference that the military (and the Commander-in-Chief) receives in policy-making was recently discussed here (thoughts on requiring military members to salute the American flag and analysis of the legal authority of a potential transgender troop ban. While future posts will likely examine on one or both of these happenings, this post continues a nuts-and-bolts discussion of civil-military relations. Each of the last two posts in this discussion (GEN (ret) Kelly taking over as White House Chief of Staff and an examination of potential ideological co-opting in the West Wing) had a connection to current events, demonstrating that the need for a robust discussion of civil-military relations is as needed now as it was during the Korean and Vietnam Wars. This pattern of connection to current events continues here. This week, Chelsea Handler (formerly of, inter alia, Chelsea Lately and Girls Behaving Badly) tweeted "To all the generals surrounding our idiot-in-chief...the longer U wait to remove him, the longer UR name will appear negatively in history." One of the most interesting aspects of this statement is that is implicitly assumes that the Generals have the agency to act autonomously. That is, the casual assumption of the military is that its enlisted and officers are "Yes Men" when faced with authority. From the recruit who is just entering the armed services who is given standing orders to obey authority of drill instructors, to the servicemember who is told to execute Commander's intent - what the Commander of a particular unit wants - and to accomplish that intent, to senior leaders depicted with the President in the Situation Room in multiple television shows and movies who loyally call subordinates to execute an order that the President gives, the common understanding is that dissent in the military is almost anathema. And, for the important reasons, there are expectations that orders, once given, are obeyed. The military presumes that orders are lawful (see, for e.g., United States v. Kisala, 64 M.J. 50 (2006) (holding that fundamental to an effective armed force is the obligation of obedience to lawful orders and that because an order is presumed to be lawful, a subordinate disobeys an order at his own peril, though a servicemember may challenge the lawfulness of an order at the time it is given or in later disciplinary proceedings). However, this is not to say that the Generals have no say or pushback to the President. Returning to Ms. Handler's tweet, we see that there is some level of awareness that the Generals aren't just "Yes Men" who blindly obey the current President's orders. If it is argued that they should revolt, then that means that they could revolt. In last week's post, I briefly discussed that civil-military relations exists on a broad spectrum between complete acquiescence to the Executive and revolt to overthrow the Executive, and there are an infinite number of positions between those two poles. That the military exists somewhere between complete, unflinching loyalty to the President and revolt means that the military has room to maneuver and position itself contrary to a position from the Executive. The obvious next question is how the Generals - individually or collectively - could protest an order from the Executive. Arguably, such a protest played out in response to the tweet announcing the transgender troop ban. Leaders from the services have publicly come out and announced that no action would be taken until clear policy is created that provides guidance and required actions for leaders. GEN Dunford, the Chairman of the Joint Chiefs of Staff, stated that "no modifications to the current policy [would occur] until the President's direction has been received by the Secretary of Defense and the Secretary has issued implementation guidelines." Steps beyond a "wait for clarifying guidance" approach are public statements aimed at encouragement of alternative policy and of current (and future) servicemembers. Secretary of the Navy Richard V. Spencer (note, not Richard B. Spencer), hours after his Senate confirmation, stated that any order from the President would be obeyed, but that "any patriot" should be allowed to serve. Some days prior to SECNAV Spencer's comments were Coast Guard Commandant Adm. Paul Zukunft's. Admiral Zukunft stated that "[he] would not break faith with transgender Coast Guardsmen". Almost certainly on the minds of SECNAV Spencer and Adm. Zukunft were assurance to current transgender servicemembers, as well as recruiting going forward, as uncertainty would likely affect unit and individual morale, as well as the likelihood of attracting new recruits. To assuage thoughts that dissidence is only a product of the current state of American politics or of the current Commander-in-Chief, a brief trip into history offers insight. The year is 2006. The United States is deeply involved with the planning and execution of combat missions in Iraq. The Secretary of Defense is Donald Rumsfeld, and there is significant discord with how the war is being planned. Normally, such discord may come from the media or American citizens, but in this instance, it came from recently retired Generals (it is important to note that there are legal distinctions between being on active duty and being retired in terms of freedom of speech/expression and requirement to obey superiors). So significant were the protestations of these senior leaders that the situation was termed "The Revolt of the Generals". Publicly and privately, there was dissent of the leadership and policy taken by the Secretary of Defense - a civilian who has oversight and command over the military - by the very individuals who were, until very recently, in charge of planning and executing said policy. It was in this same timeframe that Thomas Ricks envisioned the deliberate evasion of orders by military leaders due, partially, to a perception that many in the military disapproved of the use of military force by then-President Clinton. With the "Revolt of the Generals", military revolt of the President didn't happen, and it won't happen today. But, the fact that it is discussed, both then and now, suggests that there is a tacit awareness that the military isn't comprised of Generals who are "Yes Men" and that military leaders have the capacity to shape Executive opinions and policy in a number of ways. Last week, I began the start of a discussion that seeks to examine the role of the military in its governance (Intro and Part 1 available through links) by examining the military precision and order that is so ubiquitously known being brought into the White House in the form of GEN (ret) Kelly being named the White House Chief of Staff and the action that he took almost immediately upon starting that position. 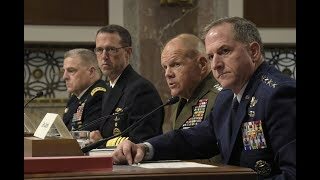 While there was an impromptu beginning to this discussion last week with the appointment of GEN (ret) Kelly and the rapid departure of Anthony Scaramucci, the questions of who controls the military and how they do it are important ones. That is, the military, for its Generals and Admirals, rank-and-file officers, and enlisted members, the military is run by a civilian. Article II, Section 2, Clause 1 of the United States Constitution clearly names the President as the Commander-in-Chief of the Army and Navy of the United States. Many Presidents have experience in the military, whether they were professional soldiers or citizen-soldiers, who interrupted their civilian lives to serve. However, regardless of prior experience, arguably and somewhat bluntly, the constitutional function of the President of the United States is to command and control the military, understanding how it fits into a larger picture, and the function of the military is to execute the missions assigned to it. Framed another way, the President serves as the boss of multiple companies, and the military serves as the employees of one company. While the grouping of the military as "employees" will be examined in a future post, for now, it is a workable analogy. In this analogy, it can be easily seen that the boss will have one perspective on the organization, and the employees, another. It's not that the employees in this organization aren't capable - in fact, they are very skilled at their jobs - but that, the solution to a problem may come from another of the boss' companies, or a mentality only obtained by being the boss. Returning from the analogy, a foreign policy solution could use "soft" power instead of "hard" power, or the experience of seeing the problem as the President instead of a military leader. 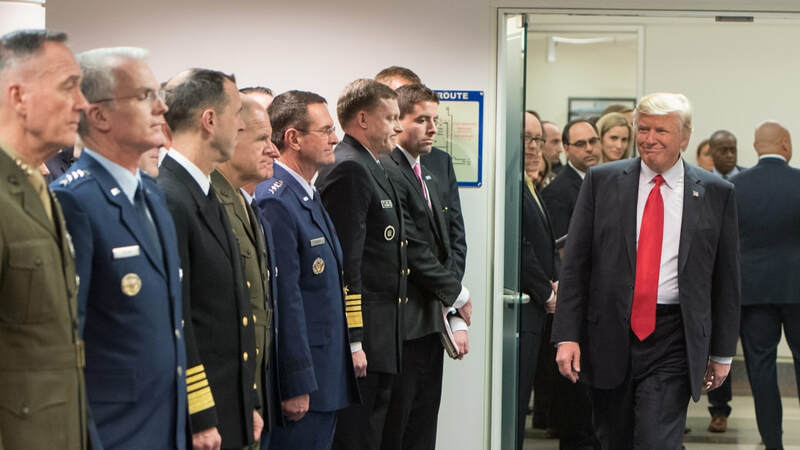 The Commander-in-Chief's obligation is to independently control the military, and that requires a mindset that is open to alternative possibilities and more importantly, is able to lead. This obligation immediately brings to mind a simple question - what if it is not met? Civil-military relations isn't a binary state with the two positions being "fine" and "revolt." At the extremes, an Executive that has been completely ideologically assimilated by the military is dangerous because the military would effectively control the executive. At the polar opposite position, a military that has no representation in leadership and is completely opposed to its leaders can revolt. In between those extremes is a massive gray area in which anything but the extremes is workable. So, what if there is is some overlap between the Commander-in-Chief and military leaders? Short of those extremes, it is not the end of the world, but where on that spectrum the interactions between the President and the military fall is important to study and understand. These questions are especially important when viewed in context of the current administration. The President has nominated, and the Senate has confirmed, a respectable number of current or former military generals as advisors, specifically, GEN (ret) Kelly as Homeland Security Secretary, GEN (ret) Mattis as Defense Secretary, and LTG H. R. McMaster as National Security Advisor. Any of those posts being helmed by individuals with significant prior military experience is not newsworthy by itself, but in tandem with other developments, it raises the question of the ideological overlap between the Executive and the military. ​Concerning ideological assimilation of the Executive by military leadership, we know that the current White House Chief of Staff is set upon placing military discipline on the West Wing. Additionally, we know that LTG McMaster is currently on active duty in his post as National Security Advisor. Beyond that, highlighting the desire to have some separation between the Executive and military leadership, GEN (ret) Mattis had to secure a waiver from Congress to be confirmed to his current post. Why is that? Sixty-five years ago, Congress passed legislation which stated that it was "the sense" of lawmakers that "no additional appointments of military men to [the Office of Secretary of Defense] shall be approved after Secretary Marshall. In 2008, Congress reduced the original ten-year bar on transitioning from military service to the Secretary of Defense to seven years. Secretary Mattis, at the time of his confirmation, had only been retired from the military for three years, forcing him to secure a waiver from Congress. At the time of the confirmation hearings, civilian control of the military was discussed, but, GEN (ret) Mattis was overwhelmingly confirmed by the Senate. Finally, in addition to a number of senior military leaders who were recently in that post, or currently in the military, President Trump is believed to be deferential to his Generals. This anticipated deference, with the number of Generals at senior levels of government raise the questions of who is leading the military and can the overseer separate itself from those that it is to oversee? Let's assume that you are twenty years old, and you choose to serve your country by enlisting in the United States Marine Corps. Shortly after arriving at Basic Training, you're given information through a fire hose, and just as you begin to comprehend one piece, five more pieces of information are given to you, and you're expected to know that information, as well. One of the first pieces of information that you'll receive in this indoctrination period is the "General Orders to a Sentry." Comprising eleven commands in all, these general orders comprise what a sentry must know to manage/handle a situation that occurs on duty. 6. To receive, obey, and pass on to the sentry who relieves me, all orders from the Commanding Officer, Command Duty Officer, Officer of the Deck, and Officers and Petty Officers of the watch only.. These eleven orders, once given, become part of the enlistee's required knowledge, and the enlistee can be tested on it at any time and is expected to provide a correct response when challenged on any one or several orders by a drill instructor. As nothing in the military is a standalone piece of knowledge, these orders integrate into the lives of the Sailor, Coast Guardsman, or Marine. During basic training, each enlistee will be a sentry by watching their barracks to ensure that it does not catch fire and is not intruded upon. In the fleet, they will man a watch on a ship or on a fenceline to ensure that both are operating as they should with no intrusions or issues, and if there is anything out of the ordinary, they will use the general orders to resolve it. Is someone approaching a space that you are guarding? You are the guardian of that space (1). You are present and watch them coming (2). They should be challenged to see who they are (11). If they don't belong there, they should be told to leave, and if an issue persists, report it (3). Regardless of whether they are there properly, there should be no chit-chat, and all interaction should be as professional as possible (7). Record the interaction (2). At the end of your shift, inform the relief what orders are issued, and any special information that they need to know (6), and then, and only then, leave your post only when properly relieved by your replacement (5). Going back to that assumption that you joined the military, this would be what you would do every time you had a shift, yes, but also any time you assumed a leadership role. Could General Order #1 be inferred to mean that you have a responsibility to ensure no fraud of governmental resources within your control occurs under your watch? Sure. And that if you see any fraud that you are to report it? Absolutely. The General Orders of a Sentry become part of your ethos after enough repetition and practice with them. Now, let's imagine that you advance through enlisted ranks, and that you commission as an officer. You've been put in charge of people and assets all of your career, and now you're in charge of planning and execution of plans using those assets. You have continued to succeed, and you are promoted again. You're promoted to higher headquarters staff, where you plan with units full of people and their assets. Missions are thought of at this level and tasked to subordinate units for execution. For those subordinates, you set the example, and you continue to take charge of what you have been entrusted with and care for it. After a long and storied career, full of successes both individual and unit, you've reached the pinnacle of your career. You are a General Officer. You've promoted and you now have command. Command over a geographic region, the mission of your service in that region, and, inter alia, the people in that work for you in that region. The General Order to take charge of all government property in view still applies to you and you are now the standard bearer for your people. Described, briefly, above, is the career of General John Kelly, USMC. General Kelly enlisted in the United States Marine Corps and ultimately rose to the rank of Sergeant. After a brief gap where he was discharged, he was commissioned as a 2nd Lieutenant in the Marine Corps, and began his rise as an officer. After being assigned to Headquarters, Marine Corps, he commanded a rifle and weapons company. A few duty stations later, he then served as a Training Officer to incoming officers at Quantico, and as the Commanding Officer to a light armored reconnaissance battalion. Several years and duty stations later, he was the Special Assistant to Supreme Allied Commander, Europe, and then he took command of Task Force Tripoli in Iraq. After being promoted to General Officer, General Kelly served as commanding general of I Marine Expeditionary Force (MEF), and then Commander of Multi-National Force West in Iraq. After serving as the senior military assistant the Secretary of Defense, GEN Kelly served as the Commander of United States Southern Command. The above biography is meant to examine the success that GEN Kelly had and some exposition on how he might problem solve, though each could never be adequately explained in a blog post. Ultimately, GEN (ret) Kelly was confirmed as Secretary of the Department of Homeland Security, and on July 28, 2017, Sec. Kelly was tapped to be President Trump's Chief of Staff, and he began that role on July 31, 2017, three days later. Also on July 31, 2017, the White House Communications Director, Anthony Scaramucci, who had garnered fame by positioning himself as a vocal player in the Trump Administration who, inter alia, used expletives to media and spoke out against the then-White House Chief of Staff Reince Priebus was removed from his role. Scaramucci had allegedly stated that he did not report to the Chief of Staff, but rather, that he reported directly to the President, usurping the authority of the Chief of Staff by undercutting his power and role. That is, if the Chief of Staff is meant to serve as a vet of all information to the President, in addition to being, as the name states, the Chief of the President's Staff, then it follows that the Chief of Staff should have cognizance and control over all White House staff. Scaramucci existing outside the control of the White House Chief of Staff made performing the full duties of the White House Chief of Staff by GEN (ret) Kelly impossible. In the coming days, there are sure to be stories about sequences of events, and who had whose trust, but apart from that, is it that surprising that a retired, prior enlisted, four-star Marine Corps General who was in command of people, military weapons, and fulfilling the United States' military mission across the globe for over thirty years followed his military training and immediately took charge of his post as White House Chief of Staff? By recommending to President Trump that an individual (Scaramucci) that challenged a superior in the White House chain of command (Priebus) and whose existence served as a challenge to fully taking charge of the role that GEN (ret) Kelly now occupied, GEN (ret) Kelly fulfilled one of the most basic responsibilities that every Private, Lieutenant, and General has - to take control of his post. What's left to see is if his presence creates a more disciplined West Wing, in line with his military training and experience. Early thoughts discuss ground rules that GEN (ret) Kelly has set forth to consolidate control and better manage the mission of being the White House Chief of Staff, including rules that he placed on members of the First Family. In response to this line from Ghostbusters (1984), Dr. Peter Venkman says "What? ", and Dr. Egon Spengler proceeds to tell him that "It would be bad." Clarification of this statement yields the description that one is to imagine all life as it is known stopping instantaneously and every molecule in the body exploding at the speed of light. The field of civil-military relations arguably began on the day that the first army was created, but it has burgeoned as a field in the past sixty to seventy years. It is, quite axiomatically, how civilians and the military relate. Within that study, a number of research lines have developed, one of which, led by, amongst others, Professors Ackerman and Mazur, being whether Congress or the President can fully function in their Constitutionally mandated roles if they possess a military mindset. That is, what if a Congressman is a veteran of the Persian Gulf War, or if they served in Afghanistan? Are they more or less likely to vote with a military appropriations bill based on that personal experience? What about the executive? The President of the United States is the Commander-in-Chief. What if, as was the case with President Eisenhower, he has significant military experience? While the crossing of executive and military purpose isn't likely to cause total protonic reversal, as Dr. Stantz warns will happen if streams cross, it does pose an important question - can the Executive serve its constitutional mandate and function as the overseer of the military if there has been a taking over of the military and para-military institutions such as the Department of Defense (DoD) that are responsible for military oversight. Over the next few weeks, I'll examine ideological assimilation, its potential role in the current administration, and why it is significant. Recently, the President sent out a series of tweets (1; 2; 3) that served to state that transgender individuals could no longer serve in the United States military. Subsequent analysis and multiple outlets reported on the official process to enact such a policy (and there was a great post on Monkey Cage today that addressed several issues related to the proposed ban on transgender servicemembers), but the issue that have not been covered well have been the nature of the power itself and the reaction - and meaning of that reaction - of those senior DoD officials. Over this post and its companion next week, I'm hoping to shed light on those aspects of this conversation. Dealing with the first question first: How is it that the military can be so distinct from the American population in terms of what constitutional protections apply? In a previous post, I examined the civil-military gap through individuals who sat down during the national anthem. Both Colin Kaepernick and a Sailor in the Navy who was in uniform refused to stand for the national anthem. While Kaepernick was not under any legal requirement to stand for the national anthem, the Navy Sailor was, and as an update, she has apparently been separated from military service. This distinction highlights that servicemembers can be subject to laws that non-military American citizens are not subject to, and specifically, that military members can face laws that inhibit constitutional freedoms. But, can the military make distinctions on who can enter or remain in the service? Perhaps the most well known examples of this are the ban on women in combat and Don't Ask, Don't Tell. In both cases, the military creates distinctions among servicemembers and the general population, stating that in the first instance, one gender is wholly banned from certain positions and roles, and in the second, those with one type of sexuality are eligible for entry and retention in the military, and those with another are not. At its core, all of this centers around the concept of "Good order and discipline," one of the most fundamental tenets of military service. Lawmakers and courts alike are loathe to interfere with military decision making for this reason - the military is a unique institution in what it does and how it works. It does not exist to make a profit like a private company does. It is even distinct from other state and federal service jobs in what it tries to accomplish and the expectations that it sets on its members. These fundamental differences are reflected in distinctions such as who is eligible for what job. There are a number of Supreme Court cases that stand for this principle, and the larger doctrine is called the military deference doctrine, the notion that the Court defers to military decision making, but succinctly stated, “Judicial deference [...] is at its apogee when legislative action under the congressional authority to raise and support armies and make rules and regulations for their governance is challenged” (Rostker 1981: 70). This case centered on the question of whether it was lawful that only males were required to register for the draft. In the ten years before this, the Court began to formulate its current legal analysis and caselaw on gender discrimination, and even ruled on one gender discrimination case involving women (Frontiero v. Richardson). Reaffirming the military's decision to exclude women from combat provisions by extension, the Court held that the Military Selective Service Act was constitutional, and the gendered differences in the draft were permissible. Certainly, the case of the President, as Commander-in-Chief, taking the steps required to enact a ban on transgender servicemembers is different than law which was approved by Congress and signed by the President. However, there are commonalities which merit examination. First, prior to former Secretary of Defense Ash Carter announcing an end to a ban on transgender military service, and not to state the obvious, there was a ban on transgender military service, which while challenged, was understood to be lawful. Beyond that, while there is a study that examines the effects of implementing a policy to permit transgender individuals to serve, a stated reason by the Commander-in-Chief based on notions of good order and discipline and unit morale will be difficult to overturn in a court of law based on the military deference doctrine. At the heart of the military deference doctrine, and indeed why certain constitutional protections present in civilian society do not exist in the military is the simple, but challenging idea that a servicemember may be ordered to charge into an enemy position, or more practically, deploy into a combat zone, and it is expected that the order will be followed, despite the distaste, frustration, or disgust held by the person following the order. Interference by courts on equal protection or due process claims can be seen as an intrusion into the core mission and purpose of the military. Cases like Rostker and so many others affirm that position and there can be a discrepancy in what rights apply to what groups and/or individuals depending on whether they are in the military or not. At the most fundamental level, this is both the defense of the tweet that stated the policy and the most likely defense to succeed in a court of law. One of the best examples of this can be seen in Chappell v. Wallace. In Chappell, several enlisted men aboard a ship of the United States Navy sued the ship’s Commanding Officer, four Lieutenants, and three Non-Commissioned Officers. The enlisted men claimed that they received unjust treatment based on race, and that there was a conspiracy to deprive them of statutory rights. Specifically, the men claimed that their direct supervisors, due to the race of the petitioners, discriminated against them in the issuance of duty assignments, the ranking of their performance evaluations, and the meting out of penalties. The District Court dismissed the complaint, holding that the complained-of actions were non-reviewable military decisions, that the petitioner-defendants were entitled to immunity, and that the respondent-plaintiffs had failed to exhaust their administrative remedies. The Supreme Court, in a unanimous decision, dismissed the complaint, holding that enlisted military personnel could not maintain lawsuits to recover damages from their supervisors and superior officers for injuries sustained in the course of military service and as a result of alleged constitutional violations. The Court stated “The special status of the military has required, the Constitution has contemplated, Congress has created, and this Court has long recognized two systems of justice, to some extent parallel: one for civilians and one for military personnel” (Chappell 1983: 303-304). We see that in civil rights cases involving discrimination and free speech and in equal protection cases involving eligibility to serve, the military receives distinct legal treatment because it is a distinct entity that has a special status. While there are a number of opinions on the policy change announced by the President, how it is being rolled out, whether it is wise, and whether it will ultimately be implemented, to name just a few, it is clear that the stated rationale follows a long line of judicial precedent giving wide latitude to the Commander-in-Chief and the Congress to set military policy without judicial interference that distinguishes between civilians and military members. Legislating away the Electoral College? Not Likely. One of the critiques that is levied against the Supreme Court is that is is countermajoritarian. That is, nine unelected justices can overturn legislative passed by - and signed into law by - elected representatives, or taking a more strategic view of the Supreme Court, only five justices - a simple majority of the nine that are traditionally on the Court - are sufficient to determine that a statute is invalid. This immediately raises questions about the nature of a representative democracy and whether an result that contraverts the majority is legitimate. In 2000, in the Presidential election contest between Governor Bush and Vice President Gore, Bush famously won the presidency, and Gore famously won the popular vote. While the final vote has yet to be tallied in the 2016 Presidential election, it is known that Sec. Clinton lost the election, but is is increasingly likely that she will win the popular vote (While electoral behavior and shifts of demographics are important and especially so as both parties seek to define themselves and their bases going forward, they are not the focus of this post, or this blog. It is worthy to note, however, that the census will be performed in 2020, and per Article I, Section 2, Clause 3 of the Constitution, the census shall determine representation, which, in turn, determines each state's elecoral votes), which may affect how the popular vote correlates with the electoral vote). In the wake after the election, there has been a noticible uptick of interest in discussing the origins of the Electoral College and whether it should continue to exist in its current (or any) form. The Republicans will hold both houses of Congress and the Presidency, in addition to over thirty state houses (though not 3/4 of the Legislatures of those states), and it arguably would not be in their interest to pass legislation that would eliminate the Electoral College, as they won under the current system. More likely than reform under a Republican Congress and President, could state legislatures pass acts that reapportion how they assign their electoral votes? Could a federal or state bill be passed and signed that served to eliminate the Electoral College? Likely not. In the event of state action, interstate compacts - agreements among and between states - need the consent of Congress, per Article I, Section 10, Clause 3. Essentially how these compacts would work is that states, who cumulatively possess 270 electoral votes, would agree that they would give their entire apportionment of votes to the candidate who wins the national popular vote, instead of the state popular vote (as currently exists in a pure form in forty-eight states and in a partial form in the other two). At present, ten states and the District of Columbia have signed on to the compact, which would trigger once the states who joined possess 270 electoral votes. However, this compact likely runs afoul of two separate provisions of the Constitution. In addition to potentially violating the Compact Clause, as described above, it also potentially is an invalid attempt to amend the Constitution from the state level, as an insufficient number of states would agree with such a compact as to trigger an amendment. Similarly to a state action, a federal action to amend the Electoral College arguably runs afoul of one of the stronger arguments that the States claim for their right to amend the Electoral College, that Article II establishes the plenary power of the states to appoint their electors in any manner as they see fit. Where does this leave what has been termed the "National Popular Vote Interstate Compact"? Firstly, it certainly is not a product of the 2016 election. This Compact has been trying to build momentum for a number of years, and it is gaining notoriety in the past few weeks due to the election. Secondly, it is an important issue, as voters (primarily Democratic voters) see that the President of the United States, two times in the past sixteen years, has not been elected by a majority (or a plurality) of the people who voted in the election. While such an attack does not seem to undermine the legitimacy of the elected president, as the constitutional processes in place (the Electoral College) were used properly, it becomes a strategic point, as at present, the ten states and the District of Columbia who affirmed the Compact are all traditionally Democratic jurisdictions. Regardless of the partisan differences currently on display, and the seeming partisan allegiance to modifying the Electoral College (though bills to modify it have passed through Republican state legislatures), a modification to the Electoral College, in all likelihood, needs to come through as a Constitutional amendment, and not through a lesser, though potentially more expedient way. To be "disqualified" is, according to Oxford Dictionary, to Pronounce (someone) ineligible for an office, activity, or competition because of an offense or infringement.‘ But, in the context of the Presidential election, what does it mean to be "disqualified"? Were someone to listen to representatives from both major parties, the opposition party candidate is disqualified to be President of the United States. White House Press Secretary Josh Earnest, referencing comments made by Mr. Trump concerning a temporary ban on Muslims entering the United States, said "What Donald Trump said yesterday disqualifies him serving as President." Similarly, during a debate during the Republican primaries, Sen. Rubio, referencing Secretary Clinton's record at Benghazi, said that she "is disqualified from being commander-in-chief of the United States." What makes a candidate constitutionally infirm to be President of the United States? 1. No person except a natural born citizen, or a citizen of the United States, at the time of the adoption of this Constitution, shall be eligible to the office of President - This criterion offers two avenues to citizenship. The latter expired at the signing of the Constitution, and the former has been discussed at great length, beginning with President Obama, but also in the context of Sen. Cruz in the current election cycle, and in both cases, revolving around the birthplace and citizenship of each individual. It is undisputed that both Sec. Clinton and Mr. Trump are citizens of the United States. 2. No person shall be eligible to [the office of President] who shall not have attained to the age of thirty-five years - I examined over two-hundred years of Supreme Court case law in researching this point, but there has not been one case involving a challenge to the President on the basis of not having the requisite age. The youngest President was Theodore Roosevelt (26th President, 43 years old), but there has been no challenge to this provision, and at 69 and 70 years old, respectively, Sec. Clinton and Mr. Trump are both qualified in this regard. 3. No person shall be eligible to [the office of President] who shall not have been fourteen Years a resident within the United States - There is some evidence that the Framers believed the fourteen-year residency requirement could be satisfied cumulatively, rather than consecutively. An earlier version of the clause excluded individuals who have "not been in the whole, at least fourteen years a resident within the U.S." (emphasis added), and historical evidence suggests that deletion of the phrase "in the whole" was not intended to alter the provision's meaning. President Hoover, whose successful 1928 campaign won him the Presidency, came less than fourteen years after his return to the United States from foreign residency in 1917. Relevant to the modern day, there may be unsettled law about whether an individual who serves in the military or State Department and resides overseas would be eligible for the Presidency due to this clause. However, in this election, both Sec. Clinton and Mr. Trump appear to meet this criterion. On its face, at least, both candidates appear to meet every legal requirement for the Presidency. Glaring by their absence from this list are extra-legal characteristics that are commonly attributed to be disqualifying, including, bit not limited to not having charisma, or having a scandal or being ill-tempered. However, there exist other legal barriers in addition to that which is listed in the Constitution. Relevant to Sec. Clinton, 18 U.S.C. 2071 is sometimes cited as a statute which may disqualify her from service. Titled "Concealment, removal, or mutilation generally," the statute states that "Whoever, having the custody of any such record, proceeding, map, book, document, paper, or other thing, willfully and unlawfully conceals, removes, mutilates, obliterates, falsifies, or destroys the same [...] shall forfeit his office and be disqualified from holding any office under the United States." To be clear, this is a federal criminal statute that would require a prosecution under it, and a conviction by it, to even begin to be relevant, but to the notion of creating additional requirements to discern a President, it is relevant now. In a wholly separate series of cases involving term limits, the states, and specifically, Arkansas, tried to add requirements on top of those set forth in the Constitution. In essence, Amendment 73 to the Arkansas Constitution prohibited anyone from appearing on a ballot who had already served two terms in the U.S. Senate or three terms in the U.S. House of Representatives. A candidate argued that the amendment violated Article 1, Section 5 of the Constitution, arguing that the Constitution establishes sole qualifications for federal office and they can not be altered by the states. Faced with the question of whether the states may alter the requirements set out in the Constitution for Members of Congress, the Supreme Court, by a vote of 5-4, the Court concluded that the Framers intended the Constitution to be the exclusive source of qualifications for Members of Congress. While this case dealt with the states, and the Court, to some degree discussed the Tenth Amendment, the ratio decendi of the opinion was this notion that the Constitution is the full and complete list of requirements to run for office. Translating that analysis to 18 U.S.C. 2071, a similar argument can be made that would hold the statute invalid as creating additional burdens and requirements on top of what the Constitution requires. The three requirements in the constitution are negative requirements - "who shall not have reached..." - and it could be argued that the Framers could have contemplated excluding persons with convictions from running as a fourth negative requirement, but that the exclusion of that requirement and the inclusion of the other three provides evidence that the statute may be an unconstitutional addition to the constitutional requirements. Is one candidate or the other Ill-qualified for the Presidency? Perhaps, depending on your perspective and belief, but likely not "disqualified." For why such a distinction matters, go to the second part of this post here. Assistant Professor of Political Science. Military Law Practitioner. Supreme Court Watcher.